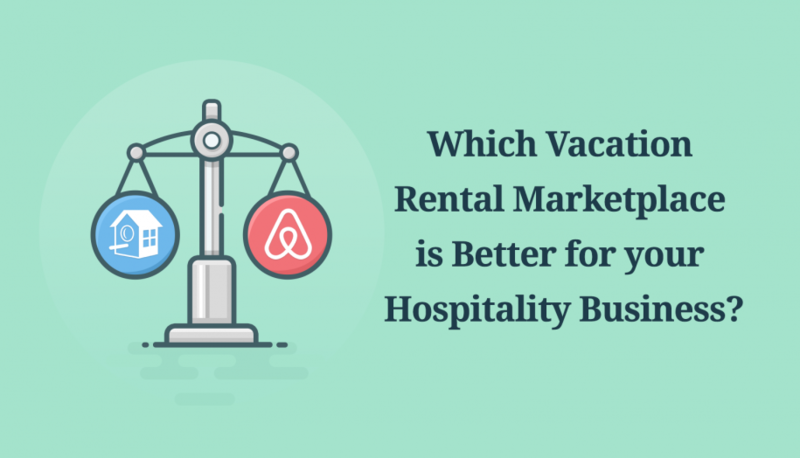 What is the Cost to Create a Vacation Rental WordPress Website? 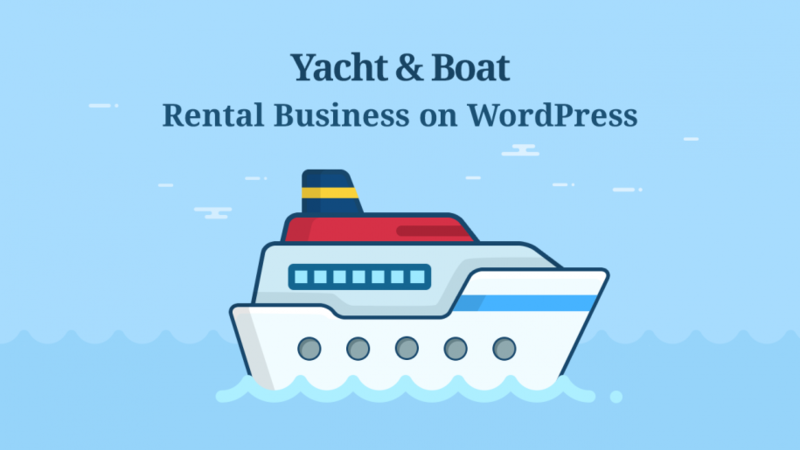 How much does it cost to create a vacation rental WordPress website? First off, congrats for asking the right question. In WordPress, the cost of building a website pretty much depends on a type of the latter. There are three typical categories caught on widely with WordPress developers: a brochure, business or e-commerce website. Some can be combos. Of course, that is just a bird’s-eye view but it gives ground for assuming that if you need something specific like a hotel booking or vacation rental home WordPress website, that’s definitely not comparable to a mere WordPress blog costs. Secondly, you are lucky to find WordPress because it allows you to avoid a pay-per-booking or per-rental commission trap that subscription-based (cloud) booking and hotel management software providers generally impose on you. With WordPress, things are more pleasant – you own the booking software you buy so there is no need to bear a burden of third-party commissions. 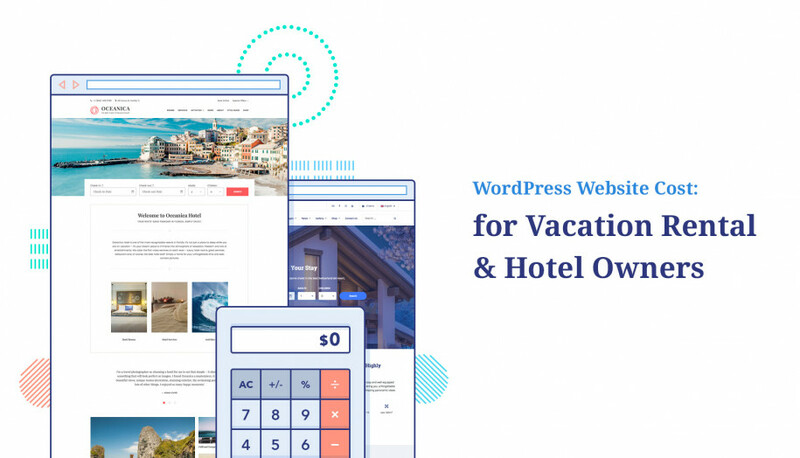 In this post, we’ll be looking at all details of the most cost-effective way to create a vacation rental or hotel WordPress website with a theme and plugin. In other words, almost DIY way. If you need a custom website, that’s something you’ll need to negotiate with a WordPress development agency of your choice. Such being the case, the cost might be totally different – based on the agency’s/freelancer rate and reputation. Just one thing for sure, if you are really looking for a unique website created from scratch, the cost will be 10x higher. The main reason? The process of building a bespoke website is more time-consuming. It involves more planning/design/development/ work and sometimes more manpower. 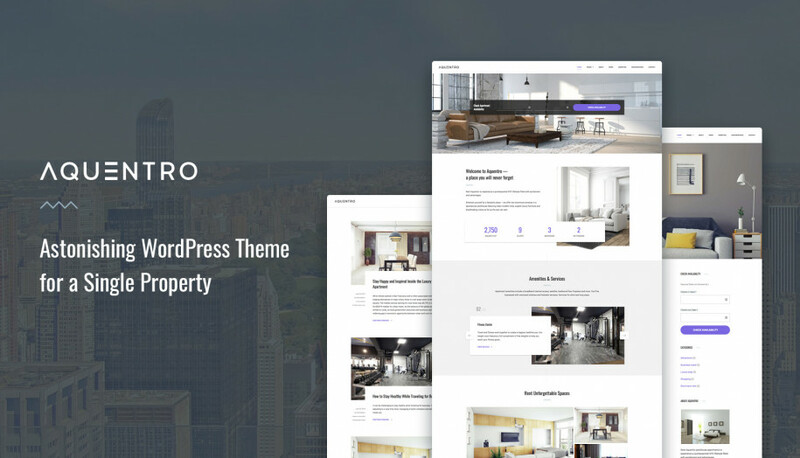 If you opt for a WordPress plugin and theme way to build your property rental or hotel room booking website, you can literally do it all yourself and save a lot of money. Any coding skills will unlikely be involved on all stages, though your time budget and figure-out skills are going to be of the essence. Just to make things clear, we are talking about wp.org self-hosted websites. So let’s start from the get-go and estimate all possible charges of building a vacation rental or hotel website with WordPress. WordPress software itself is free, but there are general (hosting & domain) and WordPress related costs. We are also excluding website advertising costs since these vary for each particular case. Make sure to check our vacation rental WordPress website optimization checklist! 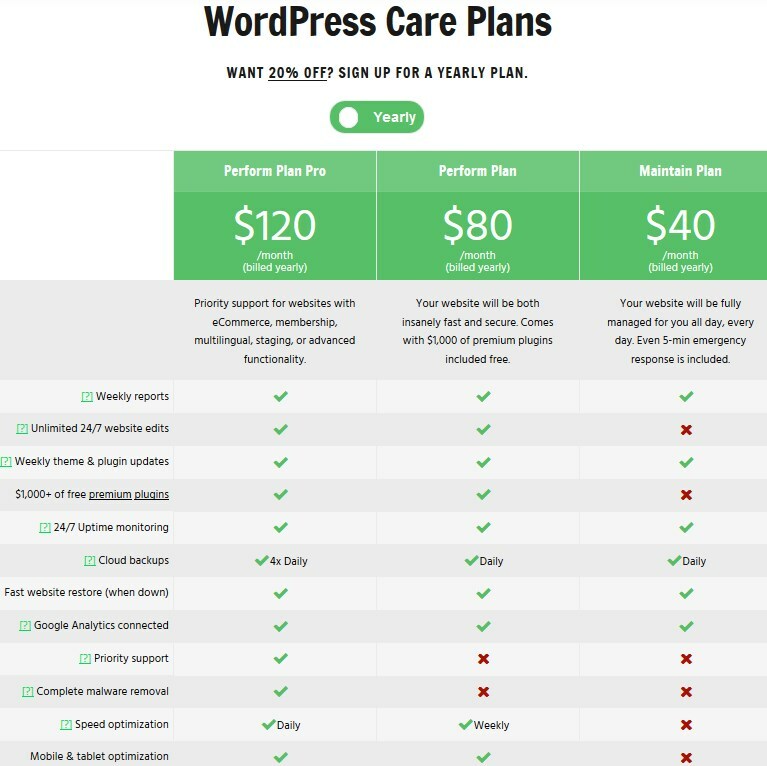 Your annual hosting expenses will be based on the hosting provider and a pricing plan you choose; now all popular providers include WordPress to their plans to help you choose it quicker and easier. Hosting may be even free, but honestly, it’s not the best way to go for every serious website. We can’t comprare all of hosting providers because we’ve been working with just several companies we now recommend – BlueHost and InMotion. 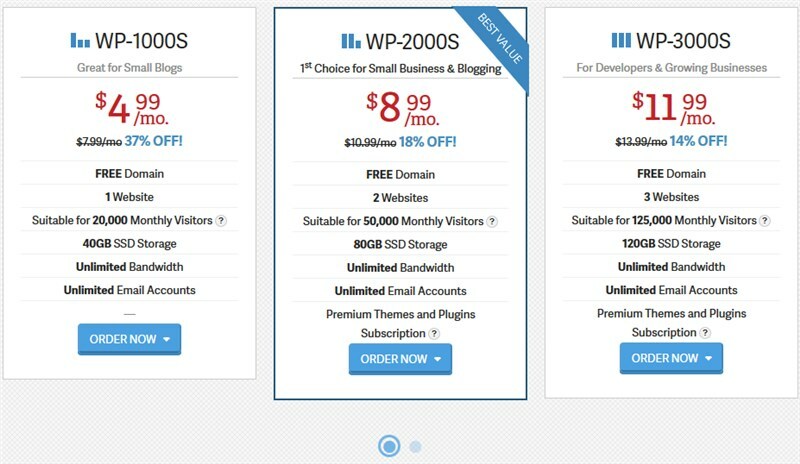 So far, the cheapest WP Standard plan of BlueHost is $39.99 / per month, while InMotion’s plan for small business is just 8.99 / per month. But you can choose any hosting you like – we encourage you to read reviews and conduct your own research. The main thing to look for is “small business” plans that are generally well suited for hotel and rental property websites without millions of traffic. In general, vacation rental and hotel websites (if these are not massive directories) should be totally okay with the services offered within ~$150 yearly hosting plans. Also, many hosting providers offer to install WordPress for you, so you should not have any troubles with figuring out how to install WordPress. The good news is that a domain name very often comes in a suite with hosting, so you don’t need to pay extra for it. This applies to brand new domains only since aged domains can cost you thousands of dollars. For example, fb.com domain was purchased in 2010 for $8.5 million. Just remember that used domains can cost you an arm and a leg. 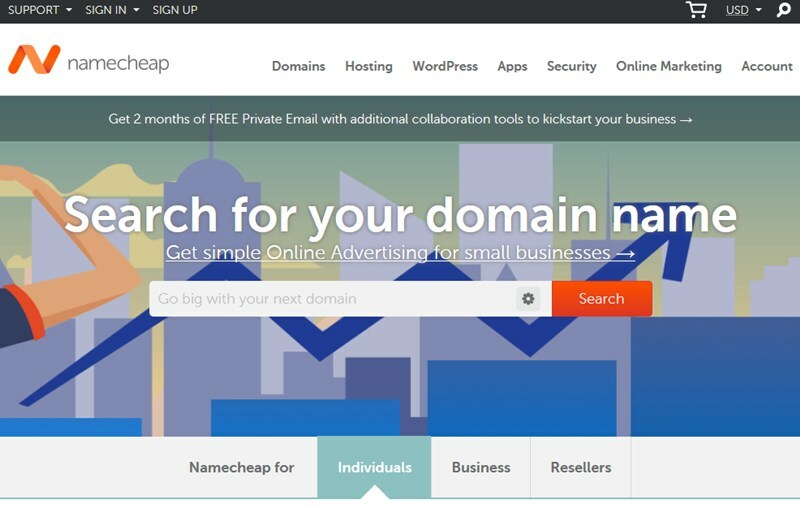 Buf if you are going to come up with a brand new domain name, most likely it won’t cost you a dime or you can get it pretty cheaply for about $10 – $15 at Namecheap. 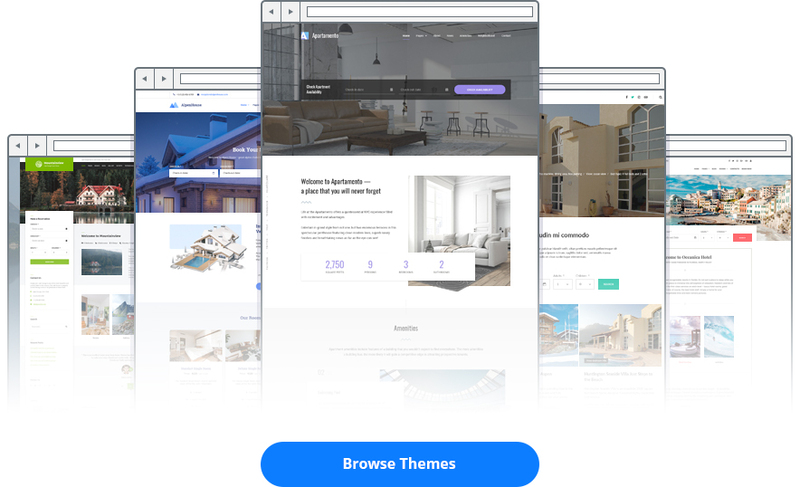 Since we’re talking about building a website with a template, you should choose any ready-made hotel or property rental WordPress theme. On the website setup stage, you’ll need to simply replace sample theme data with your custom content and configure preferable settings to create your unique brand identity. On average, a premium WordPress theme optimized for hospitality business (with annual tech support) will cost you $59. Sometimes the theme comes accompanied with premium plugins that are included for free, so that’s a great way to spend less and get more. If you don’t need to use any booking software and just need a hotel brochure site, the described above three things should suffice. But if you want to accept online payments, sync direct website bookings with OTAs like Airbnb, apply custom rates and more, read further. There are just a couple of lodging business dedicated WordPress reservation plugins (compared to all-in-one solutions). 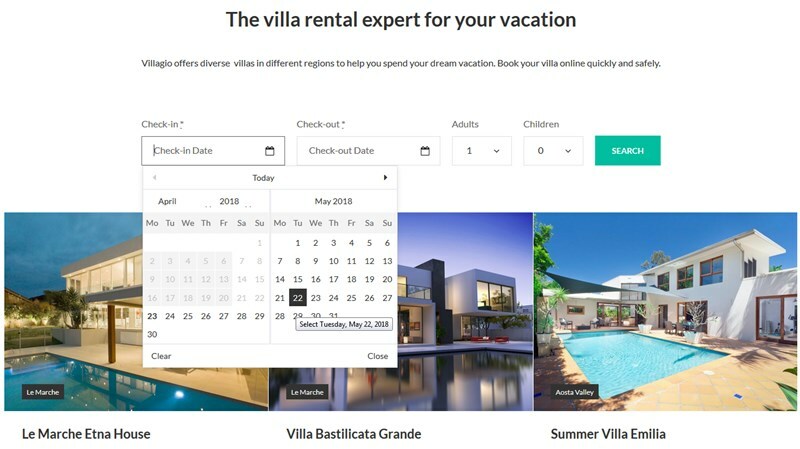 If you go with MotoPress Hotel Booking plugin, an ultimate WordPress booking for rental property, you’ll need to spend $49 for its functionality. This is the cost for one website. This plugin is not a mere room or property booking system – it combines the property management system, the booking app, the channel manager for online travel agencies and more. If you need to receive plugin updates and tech support after the first year of the plugin usage, you can prolong your license with 50% discount. In total, the first payment is $49 and an optional annual cost is $25. However, you can choose not to pay for another year and still use the plugin (without getting updates and tech support). With any of MotoPress themes for rental property we mentioned, you get a premium MotoPress Hotel Booking plugin included with no extra cost. That is, if you choose any theme from that lodging business category, you pay only $55 once for a theme and plugin in total. Sounds like a great option to cut down expenses, agree? The way you are going to process online payments (if you are) may result in additional charges. 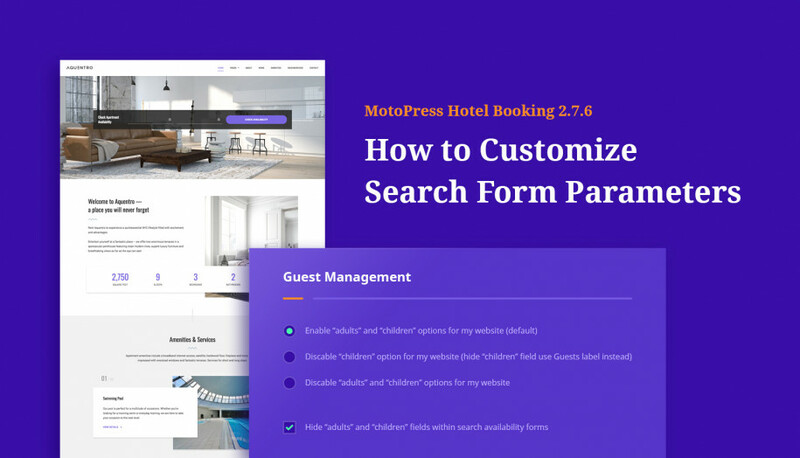 If PayPal, 2Checkout, Braintree, Stripe, Beanstream/Bambora gateways are enough for your needs, you may relax – they are included into the base MotoPress Hotel Booking plugin by default and there is no need to buy anything. But if you do need to include any region-specific payment gateway/s and use them with MotoPress Hotel Booking plugin, you’ll need to purchase an extra WooCommerce + Hotel Booking connection addon for $89. 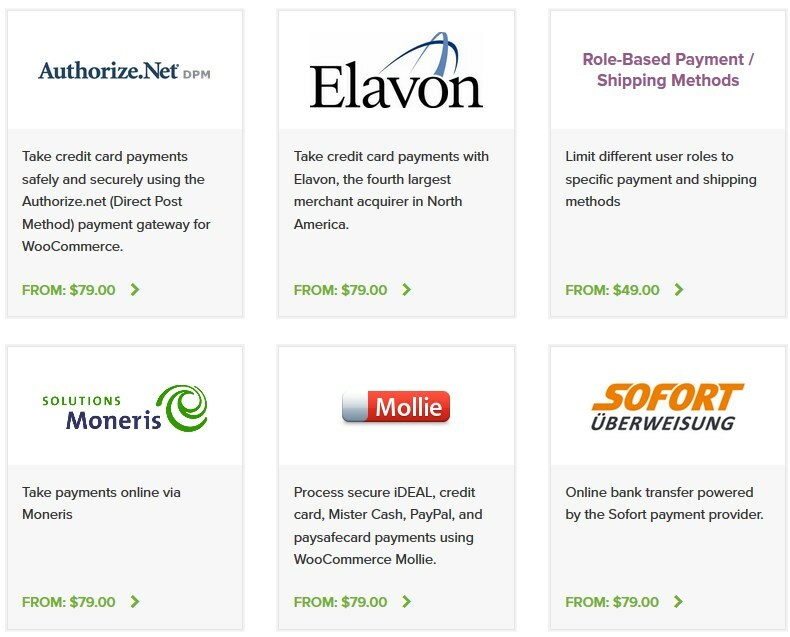 Then, a specific payment gateway you need may be either paid or free. On average, expect to spend on paid payment gateways between $49 – $79. It’s worth mentioning that with this WooCommerce extension you can also create an online store and sell goods and services without a need to look for additional solutions. On top of that, Request Payment Addon for WordPress Booking plugin by MotoPress lets you turn online payments into a way to reduce the number of booking no-shows. Send emails with a payment link to the guest who’ve made a reservation of your rentals and ask them to do a final confirmation of their booking with payment before arrival. The best way to increase an international travellers audience is to translate your website into several languages. This is especially crucial for website owners who work with people from around the globe. If you plan to use this strategy, you’ll need to find a WordPress multilingual plugin that suits your needs. Free WordPress solutions like Weglot are available on the market, but the needed level of translation flexibility may be provided only in a premium version of this plugin. A tried and trusted plugin that was tested with MotoPress Hotel Booking plugin is WPML. The cost of its cheapest suitable plan is $79. Security, SEO, advanced forms, caching, backups… All this more or less requires your attention. You may want to leave security and website maintenance workload for WordPress experts like WPBuffs. But if you plan to dig deeper on how to secure and optimize your website for a better performance yourself, you don’t need to pay for extra help. However, you’ll need to spend your time. If you want to include any extra premium WordPress plugin for a gallery, video player, premium WordPress page builder or whatever, be ready to add another sum to your check. So let’s sum up the approximate total cost for different scenarios (excluding a bespoke website) for 1 website, using the cost of the plugins and themes mentioned in the post. *Optional means you can use the software without paying for another year, but you won’t be receiving regular updates and tech support. So how much does it cost to create a hotel booking WordPess website or a vacation rental website? Low-end expenses can be from inexpensive hosting, pre-made WordPress themes that include a booking plugin for free and all the maintenance job done by yourself. Expect high expenses from a quality hosting, implementing region-specific payment gateways, translating your website into other languages and outsourcing website maintenance. Expect to spend either your time or money. Of course, the final cost will always depend on your own benchmarks and needs (plus, a number of websites you need to create). Got a question or want to share your experience? We want to hear it! Ann Taylor in WordPress tutorials August 14, 2018 January 23, 2019 Leave a comment on What is the Cost to Create a Vacation Rental WordPress Website?